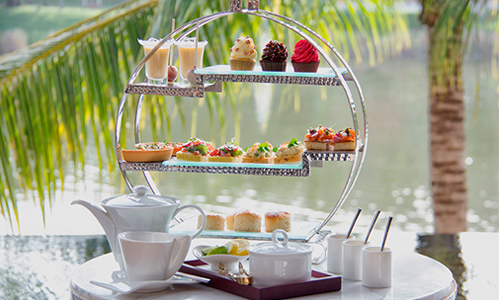 Phuket, 11 October, 2016 – The Banyan Tree Phuket is offering a new afternoon tea set that boasts some of the world’s rarest teas from “The Teamaker’s Private Reserve from Dilmah”. This is accompanied by artisan pastries and savoury delights freshly prepared by the hotel’s chefs and bakers. The High Tea can be enjoyed in the […]The post Enjoy High Tea at Banyan Tree Phuket appeared first on Tourism Authority of Thailand Newsroom, TAT Newsroom, Thailand Tourism News, Tourism Thailand, TAT.